Surprise, surprise, and cast your ears and eyes to not one, but two new releases from Welland's top musical shapeshifter Daniel Romano. Romano welcomed in the new year with two Bandcamp-exclusive releases, Nerveless and Human Touch. Their simple, no fanfare arrival is somehow fitting for both simple, short records, though in no way does it undermine the quality or passion that both display. And although both contain an even offering of ten songs apiece, the two are worlds apart. 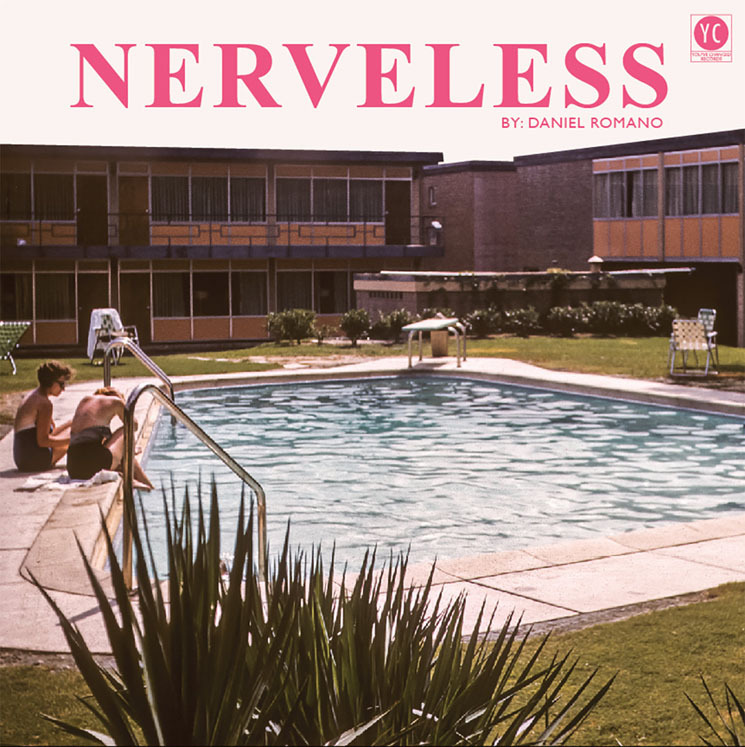 Nerveless is a compilation of the catchiest hooks that Romano has ever composed. No contest, these ten tunes are his brightest, a collection of almost anthemic rock that borders on pop in terms of how quickly you'll find yourself recalling certain melodies. From opener "Nerveless," with intensity building as the main guitar riff fuzzes out for its final run, to followup "Anyone's Arms" and "I Never Tried To Understand," the choruses are bound to take up residence in your head. "The Devil's Handshake" starts off hearkening the melody of Leonard Cohen's "Lover, Lover, Lover," as urgency grows and culminates with an almost exasperated cry of "There's only one way to make love!" "Bored Enough To Love," perhaps the record's strongest selection, opens with a delightful sprinkle of harpsichord as Romano engages in a call and response exchange with himself: "What have I got to lose? / You're doing nothing / It's better if I don't chose." Later, on "Maybe Tonight," Romano eases his anxieties and hesitancy to welcome love in an almost lullaby fashion. The impassioned ballad "Vacancy," with the rather bleak refrain of "you and me, we're empty all the time," finds Romano exploring his vocal limits, taking on a falsetto while ending on an extended note. It sure is wonderful to see Romano challenging himself in this way, and the outcome is as earnest as ever. The title is quite fitting, given "nerveless" is defined as "spiritless and cowardly" and the recurring theme of the record seems to be someone who acknowledges the idea or potential of love, but can't seem to really feel anything. There's also the idea of self-importance and promotion, which Romano has teased in the past. Our protagonist finds that he feels nothing, and in return cries his digital tears (which is also the aptly titled end song). It's now-classic Romano, pointing out social ills and putting them to music, masking the meaning in a mixture of storytelling and poetry. Human Touch feels like a string of traditional ballads, each featuring bandmate (and muse?) Kay Berkel on backing harmony, often leaning into rather eerie territory. Anyone familiar with murder ballads may draw similarities to this record; the Appalachian murder ballad "Down in the Willow Garden" would fit quite nicely here. This is Romano returning to country, in a way, but certainly leaning more upon the earlier days of folktales and the comfort of no frills simplicity. There is beauty layered between each arrangement, and instrumentation that Romano has yet to explore in such a soft manner. Again, Romano displays his knack for songwriting that makes each song seem like a standard — opener "Bring Me to the War" likens love to battle, while "Blue Champagne" could be seen as Romano's gentle take on Nancy Sinatra and Lee Hazelwood's "Summer Wine." Romano's vocal delivery, borderline messy and raw, on "Wabash Wreckingball" is divine. "Lavender and Time" is a true beauty, and "The Old Marlay Park" breaks down into almost Jacques Brel or Edith Piaf territory of a dark, accordion-driven funeral march of an instrumental just shy of the four-minute mark.